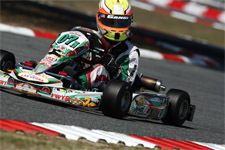 Looking for major events to fill his karting calendar, Tony Kart pilot Dylan Tavella would add the Superkarts! 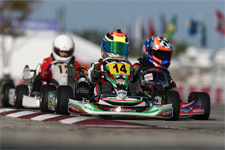 USA (SKUSA) Streets of Lancaster Grand Prix to his 'must attend' list for 2013. Competing in the TaG Cadet division against more than twenty other hungry competitors, Tavella would take weekend's main event and stand atop the podium yet another time this season. 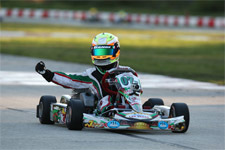 Claiming the 2013 Rotax Max Challenge United States Grand Nationals Micro Max victory back in August, Tavella would trade in his Rotax powered kart for Vortex Mini Rok powered machine and get back behind the wheel of his GT7/Tony Kart. Using the event to get experience on temporary circuits all while looking to score the victory, Tavella was the man to beat throughout the event and overcame the odds to garner the win. With qualifying and two heat races setting up the grid for Sunday's main event, Tavella would need to overcome a poor qualifying effort to have a shot at the victory. 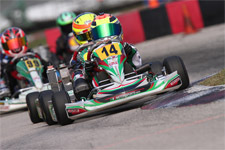 Only able to turn the eighth quickest lap of the session, the Tony Kart driver would start his run for the top from the outside of row four in heat one. 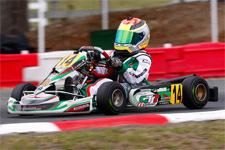 Qualifying in an unfamiliar position and racing against drivers that normally he does not battle with, disaster would strike for Tavella as he would be involved in an incident on lap two of the first heat, eventually being classified 13th. With a progressive heat race format, Tavella would be forced to start mid-pack for heat two on Sunday morning and would try to claw his way back into contention. With a good night's rest and a solid warm-up on Sunday morning, Tavella would show his true speed and driving abilities in the second heat race as he marched his way through the field. 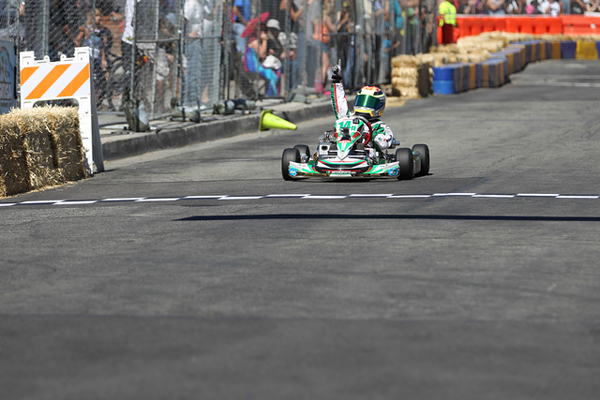 Coming from deep in the grid to finish second, the 2013 national champion would start the Streets of Lancaster TaG Cadet main event from the front row. Determined to make his mark and continue to build on his momentum, Tavella dominated the main event. After slicing and dicing his way through the field in the last heat race, the multi-time race winner would make his way to the front of the field in the main event and never look back. Turning lap after lap faster than his competition, Tavella went on to take a 4.196 second victory on the Streets of Lancaster. 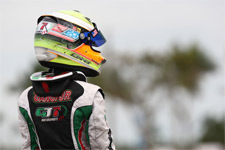 Dylan Tavella would like to thank his tuner and driver coach Charlie Swayne, Daniel Moffet, GT7 Motorsports and P1 Engines for supplying a great motor, as well as SKUSA's Tom and Patti Kutscher for putting together a great event.